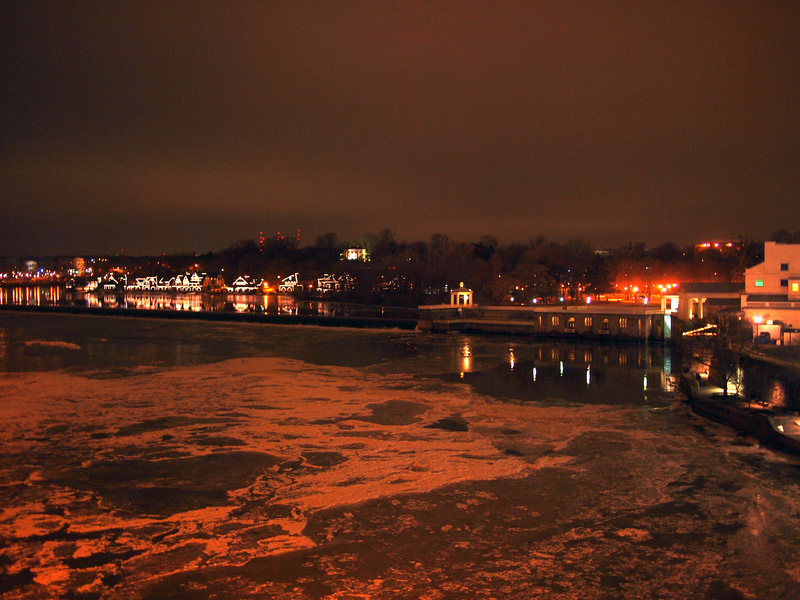 Ice flows from a still-frozen Schuylkill River framed by Boat House Row, Lemon Hill, and the Water Works, 08 January 2014. 13 Jan	This entry was published on January 13, 2014 at 8:20 am and is filed under Fairmount/Art Museum. Bookmark the permalink. Follow any comments here with the RSS feed for this post.